Every homeowner knows how annoying it is to have their yard and driveway covered in leaves, no matter how beautiful the colors are. Here at Roots Landscaping, we offer our Danbury residents leaf removal services so that the outside their home can look clean again. 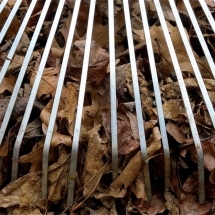 Our leaf removal services are friendly to your wallet and are finished in a timely fashion. With us, you no longer need to worry about the clutter of rakes and leaf blowers taking up space in your garage. Our team is licensed and certified so you know you’ll be getting the best results in the Danbury, CT area! Your yard should be taken care of so that you can enjoy it during all seasons. Give us a call today and set up an appointment! Fall is a beautiful time of year. The leaves are changing, but also falling and covering your yard! At Roots Landscaping, our professionals are dedicated to freeing your home of fallen leaves. The winter months can wreak havoc on your property. Especially for those unfortunate souls who forgot to call Roots Landscaping for fall leaf removal services! We boast competitive rates and service a large area surrounding Danbury, CT. When leaves sit on your property all winter, it can create a huge mess! The Roots Landscaping team has you covered. 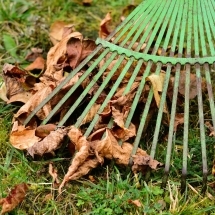 We use raking, blowing, and hauling to ensure that your lawn and driveway is clear of leaves and twigs. These are the most effective ways to get the job done. We’ll also bag up the leaves and dispose of them for you! Not only do we cater to residential areas, we work with commercial areas as well! In order to run a successful business, you need to have a parking lot and walkway that is clear of any debris. Roots Landscaping has experience working with commercial areas and is proud to offer services to Danbury businesses. Leaves aren’t the only problem our Danbury clients face. High winds and rain cause tree branches to fall and clutter your yard and driveway. With all of that mess on your property, you and your children could possible get hurt. Give us a call and let us help you in cleaning up those unwanted branches. We know our Danbury clients want to get the most out of their money. We offer competitive rates so that you don’t have to worry about spending too much on leaf removal. Costs all depend on factors such as the size of the property and how long the job will take. The length of the job all depends on the size of the property that is being worked on. 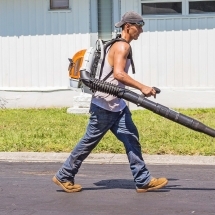 Our team has years of experience with leaf cleanup so every cleanup is done in a timely fashion. We want to make sure that every job is done quickly and perfectly. Roots Landscaping is accredited by the BBB standards and continues to provide the Greater Danbury area with top-rated service. To learn more about how we can help with your leaf cleanup needs, please reach out to us today. You may also call us today at 203-304-7326.